We strive to provide the best general and cosmetic dentistry to Central Texas at affordable prices. Our team of dental professionals strive to ensure that every patient has the best experience possible. We offer genuine service with compassion and a smile. 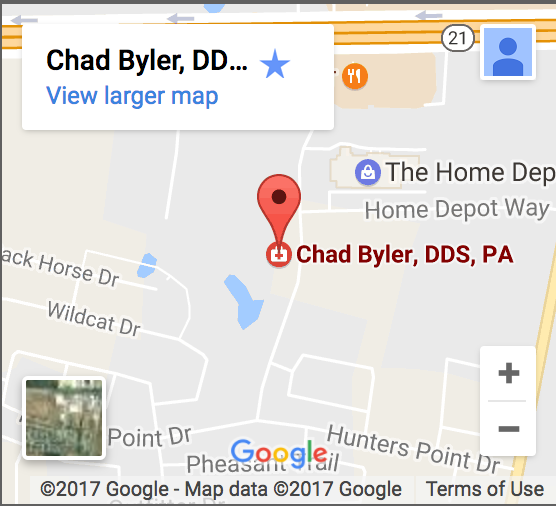 Chad Byler, DDS knows exactly how to help you with your implant dentistry needs. Implants are permanent tooth replacements that offer the look and feel of your natural teeth. If you have any gaps from missing teeth, implants can restore your ability to chew and smile like no other procedure can. Dr. Byler can help you determine if you are a good candidate in with a consultation. General guidelines require you to be in good oral and general health. In addition to a complete examination of your teeth, bite, and gums, the depth of the bone density in your jaw line will be evaluated with an intraoral camera. If enough bone is not present to tolerate the implant posts, Dr. Byler may recommend a grafting procedure or another course of dental treatment. Contact our office today at (512) 308-9860 to schedule a consultation for a personalized evaluation as to whether you are a good candidate for dental implants. After initial consultation, your next appointment will include us taking impressions of your teeth to create a model of your implant for your approval. Posts will be placed into the bone and gum tissue where replacement teeth are necessary. These are what will ultimately support your implant restorations. It may take several weeks for your gums to heal after this placement. Meanwhile, your custom dental implants will be crafted at the lab while temporary replacements may fill any gaps. Your final visit involves the placement of your dental implants and an evaluation of your comfort level with the finished product. Why Choose Dr. Byler for Bastrop Dental Implants? Implants require the skill and experience of a qualified cosmetic dentist like Chad Byler, DDS. Serving all of Central Texas, Dr. Byler and his team are highly qualified to handle any restorative procedure with care and compassion. Call our offices today to schedule your consultation for dental implants.